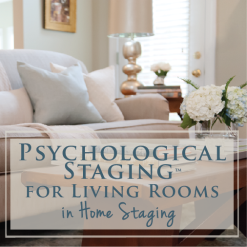 Whether you’re a design professional or simply a lover of home and decor, there’s nothing quite like a designer home tour to get your mind churning and creative juices flowing. This weekend I attended such a tour in the King’s Chapel area of Arrington, TN. 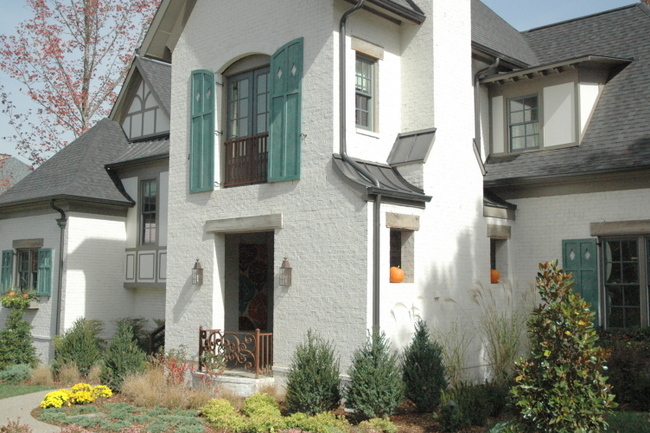 This was my favorite home exterior – I just loved the European, old-world vibe of the dark trim and white painted brick, as well as the storybook shutters and the half-timbering. 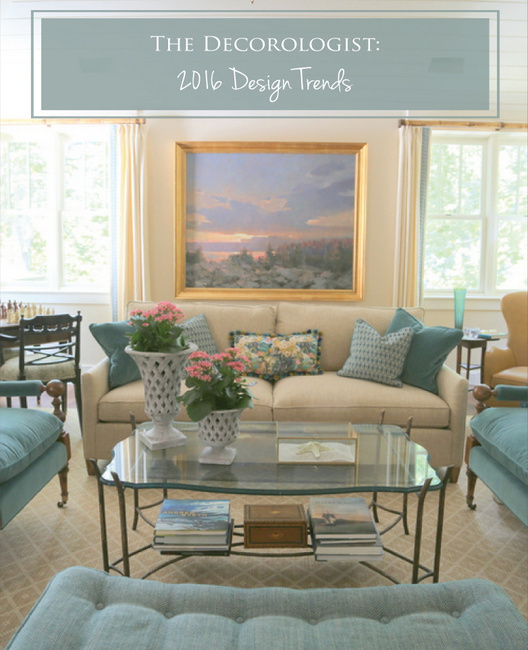 I noticed several design trends that were apparent throughout this parade of homes that I thought you’d be interested in hearing about. It was no surprise to me that the kitchens featured painted kitchen cabinets, typically with a bit of a glaze over the finish. I saw both light and dark painted cabinets, almost always paired with a contrasting island color – which has been trending for some time. 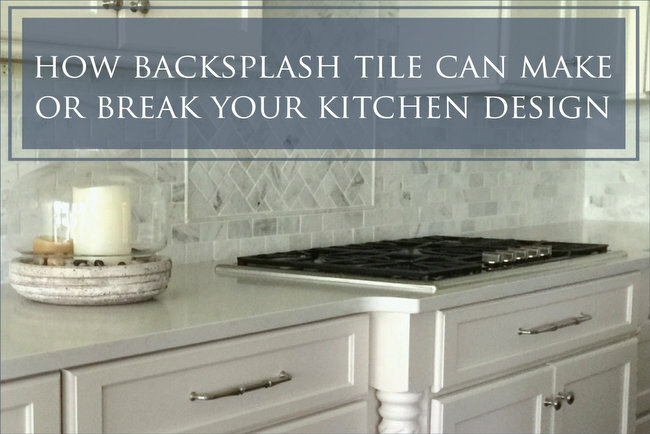 Several of the kitchens featured vertically-oriented glass tile as a backsplash, which I think may be a bit too trendy for most. It’s one of those expensive upgrades that will look “so 2010” in about 3 years from now. Here is a kitchen where the island was the same finish as the cabinetry. You’ll notice the cabinets and island bear an “x” detailing and the backsplash tile over the stove area is quite decorative. 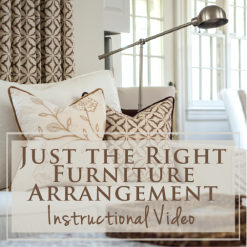 If you have multiple decorative features in your kitchen, it might be a good idea to keep the island the same as the cabinetry so things don’t get too busy. Another trend was a definite focus on ceilings. Barrel ceilings, painted ceilings, and wood on the ceiling were effects that brought the eye up and made the rooms appear larger. Light fixtures were very important in setting the style in each of the homes featured on the tour. Iron, wood, wire, and glass were popular – no crystal chandeliers here! If you haven’t noticed already, all the rooms had a mix of finishes in the wood pieces – bleached, limed, painted, mirrored, and rustic dark wood finishes. The look was high-end, but not overly formal. 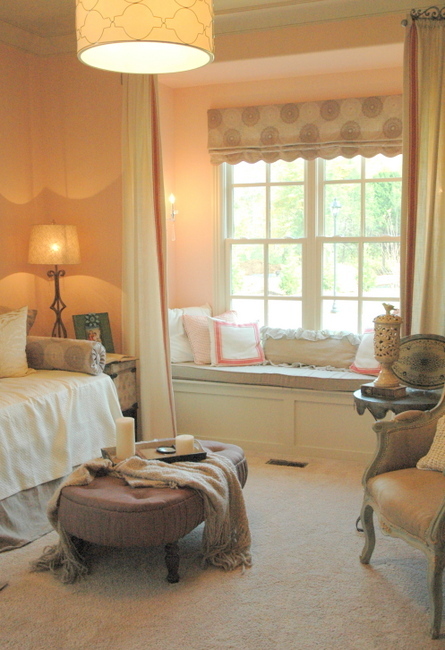 This light pink guest room was the exception, and I loved it! I spotted this beautiful credenza, which is currently one of the most functional and flexible pieces of furniture you can own (as I blogged about here). 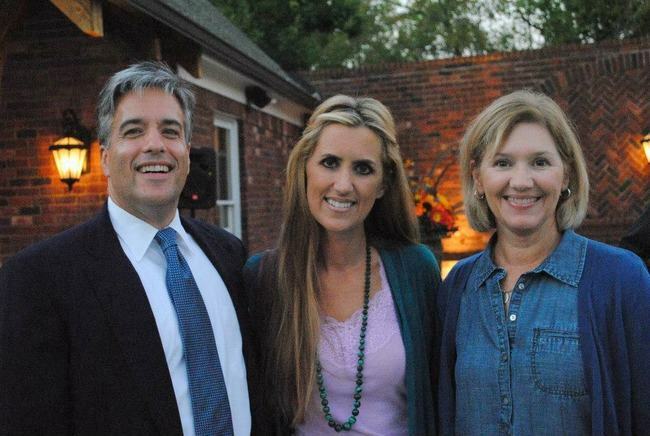 A couple of weeks ago I was invited to attend the VIP Awards Party to kick off the 2-week Parade of Homes. Bryan Edwards, president of Hughes-Edwards Builders, was one of the judges of the homebuilding showcase. 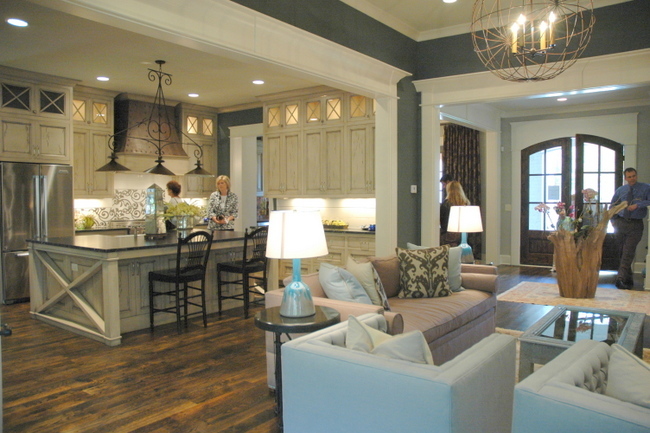 Make sure you check out his recap of the Parade of Homes. Also check out Williamson A.M. reporter, Nancy Mueller’s take on things. It was also fun to meet Dancing with the Stars’ Julianne Hough and her lovely sisters. 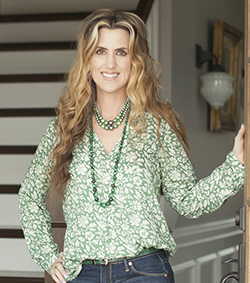 Julianne recently sold her home in King’s Chapel and moved back to L.A., but her sisters are Realtors in the Nashville area. So what did you think about the homes on this tour? 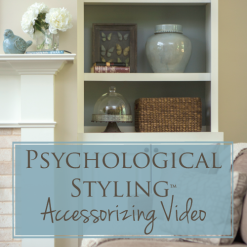 Did you notice anything you’d like to incorporate into your own home? 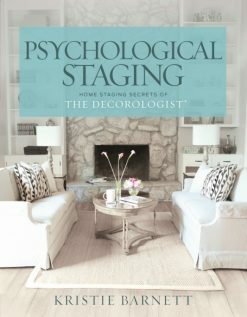 This entry was posted in Decor Addiction and tagged arrington tn, cos cob stonewall, decorologist, design trends, homberg gray, kings chapel parade of homes, kitchen trends, sherwin williams contented, wood ceilings. Thanks for sharing the photos. All the rooms are great! My favorite is the tone on tone bedroom. 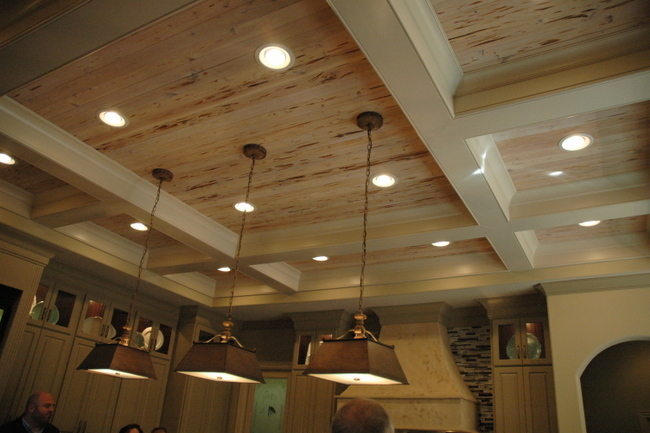 I am loving the pinted ceilings and cabinets that are in now. Dying to paint my cabinets! 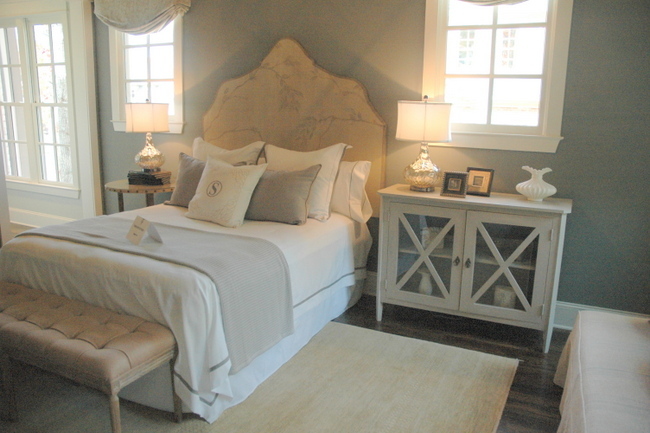 We’re loving that tone on tone bedroom too! Great pictures! 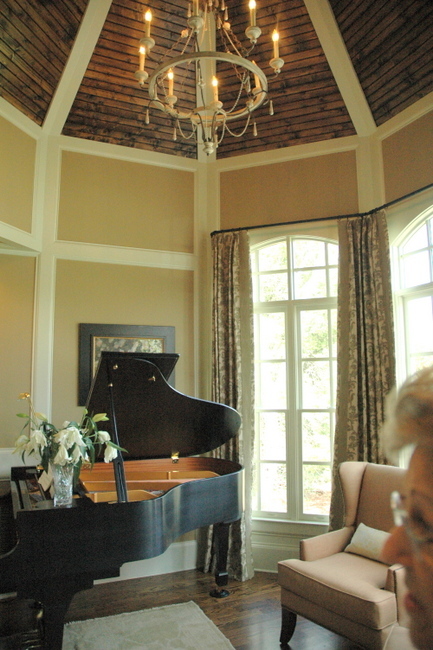 I am really noticing a lot of the wood ceilings being whitewashed. I recently suggested that idea to my daughter for her beamed ceilings. I really like the look, do you? That credenza is so beautiful!! Love! I do like it, Kelly. It’s a lighter, more airy look than the dark wood ceilings. It really brings your eye up – urban farmhouse is so hot in this area of the country! I love the earthy natural tones and the wooden beams! 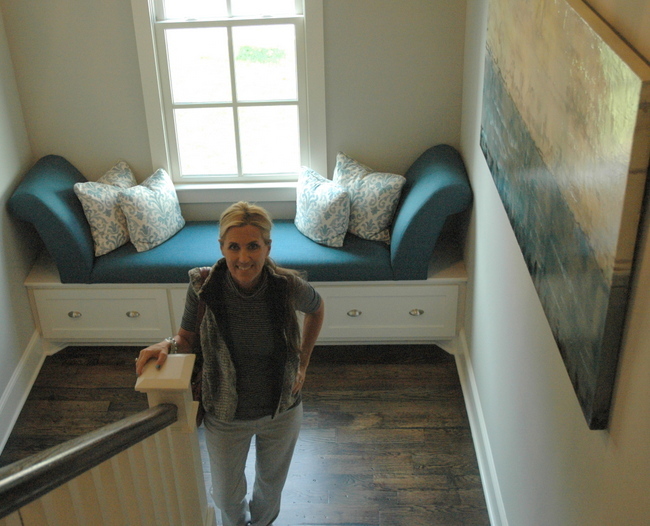 Kristie – did you see any painted wood plank floors on the tour? Most of the wood floors were fairly dark and rustic. Are you considering painting some wood floors? 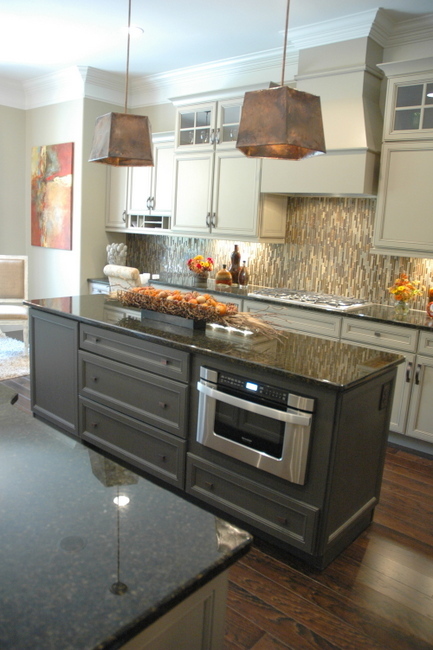 I love both of the kitchens with the painted finishes. What do you think is the future of dark wood cabinets? I like my dark cabinets but are they completely dated? If you like them, don’t work about it! 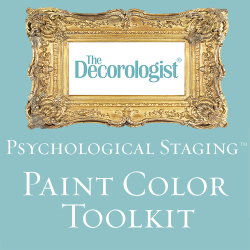 Painted cabinets are definitely an on-trend look, but it’s your house and it may not be the look for you. 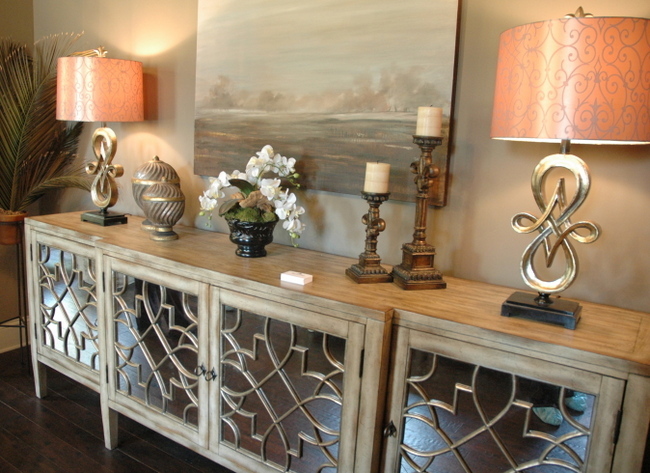 Hi Kristie-Love that Credenza!! Do you know who makes it? The credenza is from a local furniture store, J.J. Ashley’s. I am a little jealous that you were lucky enough to meet the HOUGH girls! I do enjoy watching Julie dance and perform but to see them face to face and talk with them, what an exciting time for you. You have a great job and your great at what you do. Thanks for all the inspiration you share, keep it coming!! I have really enjoyed the information and pictures to give me encouragement to tackle the projects. 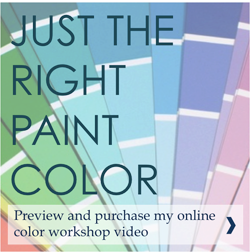 Do you know the name of the paint color used on the storybook shutters for the show home? I love a good home tour! Thanks for letting me enjoy this one vicariously. 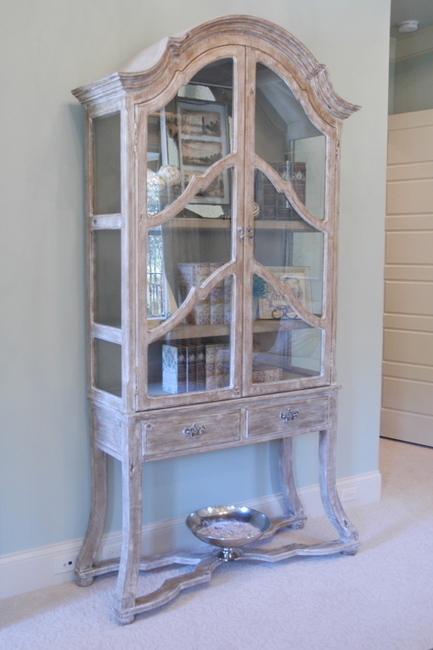 I read your latest Nolensville Parade of Homes Post and came across this old King’s Chapel Post. So glad to see our design featured in your first photo! I had the pleasure of being part of the architecture team for the Tradition Homes house. The shutters were made to look like a faux oxidized copper, although I’m unsure of the process to achieve the look. 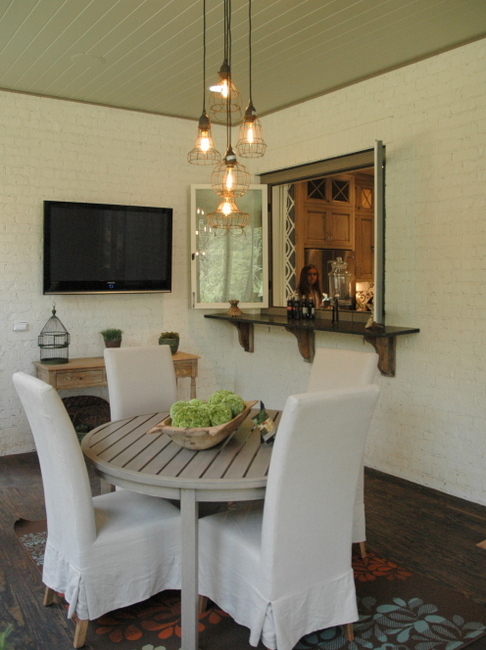 I still love the outdoor living room on the front of the home! Very cool, Michelle! What a beautiful home! This is indeed a lovely home, however, I am absolutely not a fan of the (trendy) open concept. Especially if it includes a kitchen. My kitchen is a very busy place with cooking, canning, baking and visiting. 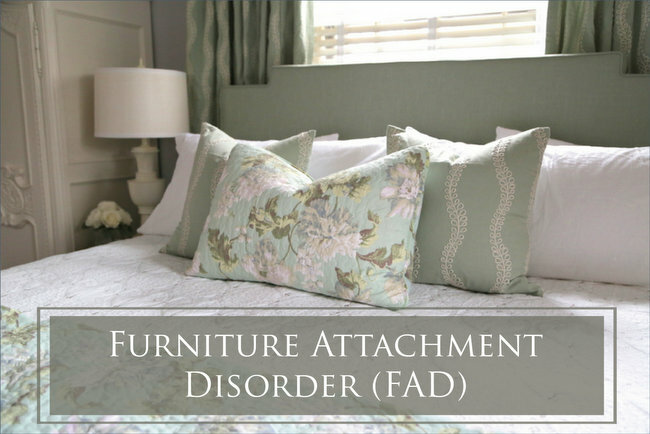 It is not always fit for viewing by guest or even family. I am a neat freak but I also know that a used kitchen can put out a lot of unseen debris, grease smoke, sticky stuff, etc. These modern kitchens are completely impractical and if people ever start living at home again I believe the trend will change.